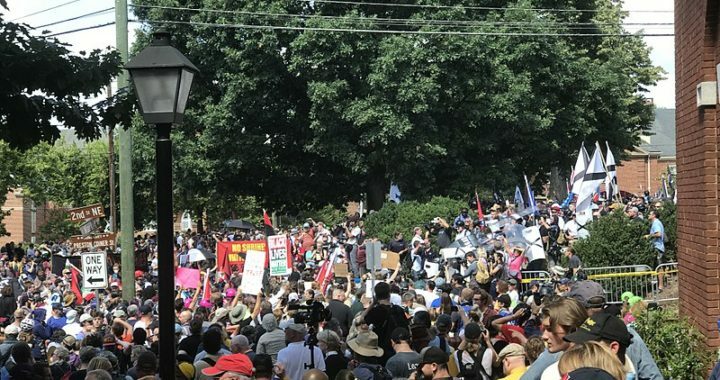 CHARLOTTESVILLE, VA—As white nationalists plan for the one-year “anniversary” event commemorating last year’s deadly “Unite the Right” rally, NLG Central Virginia attorneys Jeff Fogel and Pam Starsia signed a consent decree this week officially ending the City of Charlottesville’s lawsuit against anti-racist community defense network Redneck Revolt. The suit characterized Redneck Revolt as one of the “private military forces” responsible for the white supremacist violence that resulted in the murder of civil rights activist Heather Heyer. In fact, Redneck Revolt had been present at the rally for the explicit purpose of community self-defense against white supremacist violence. “As lawyers and members of the Charlottesville community, we were shocked when the city included Redneck Revolt in its lawsuit against militias. We condemned the ‘equivalency’ approach which tracked Trump’s claim that there were good (and bad) people on both sides of the violence. Expending busloads of money, 14 lawyers for the plaintiffs descended on Charlottesville to, in part, prosecute the only armed people who were present on August 12 for the purpose of protecting the community. To add insult to injury, this is the City that failed to protect its people and has moral responsibility for murder, aggravated physical injuries and mayhem in the streets,” said Fogel. This settlement follows an unfavorable decision by the Charlottesville Circuit Court earlier this week denying Redneck Revolt’s motion to dismiss the case or exclude them as defendants. The organization has decided to donate the funds it would have expended in trial to the Charlottesville Community Resilience Fund “Rather than continue to spend energy and resources on a trial where the state’s preferred outcome is clearly predetermined, we are choosing to end the litigation and focus our energies on the many important fights ahead,” Redneck Revolt said in a statement today. Once again, white supremacists will not have their hate go unchallenged, as anti-racist protests are underway for this year’s Unite the Right anniversary rally in Washington, DC. It has been approved by the National Park Service and is scheduled to take place outside the White House on August 12, 2018. Lead organizer Jason Kessler applied for another permit to hold an additional rally that day in Charlottesville, which the City denied. Kessler is suing, and a hearing that will determine whether or not the permit will be issued will take place July 24. Photo: “Charlottesville ‘Unite the Right” Rally’ by Anthony Crider is licensed under CC BY 2.0. Posted in Press Releases and tagged Central VA NLG, Charlottesville, white supremacy.